San Juan Capistrano Ca is known for its rustic beauty. Rolling hills near the ocean elicit images of ranches and plentiful orchards. The ranches and orchards have thinned out, but the beauty remains. Prestige Deck Coating adds to that beauty with our signature balcony deck repair. 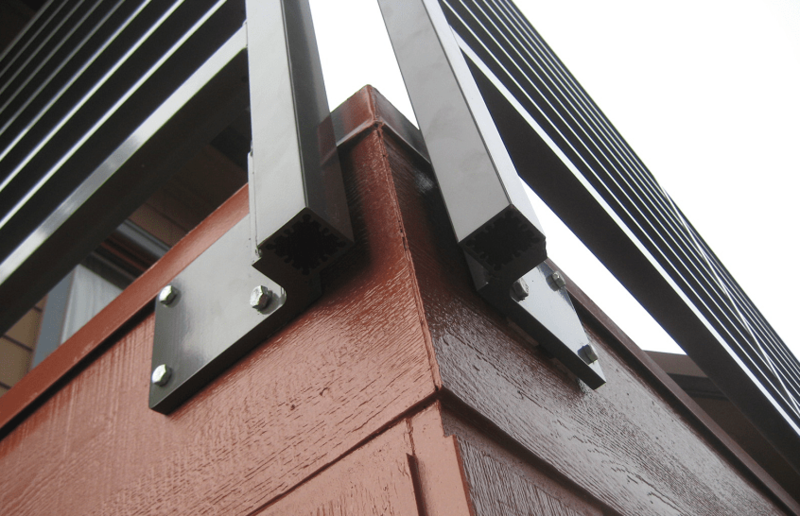 Clean lines and waterproof coatings, a winning combination. We traveled to an apartment complex to perform a balcony deck repair project that turned out beautiful! Plywood Re-Sheeting. There was a quite a bit of rust intrusion, so we had to rip out all of the existing coating down to the studs.We then replaced the plywood with 3/4 inch sheeting. 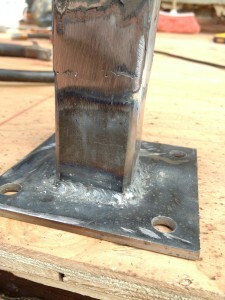 This allowed us to lay a solid foundation for our deck waterproofing system. Door Pans. The the flashing was rusty, so we installed a new door pan underneath the main door. Drip Edge Flashing. This deck was open on three sides, so we tore out he existing drip edge flashing and replaced it. In order to match the fascia board color, we repainted it as well. Railing repair. This deck had wrought iron railing. Not a problem for Prestige Decking! Depending on the damage to the deck coating, you have a few options. We can remove the railing and reinstall it after our service. We can work around it. If the railing is rusty, we can repair the railing, weld it, and then reattach it. Crete Deck Coatings System. 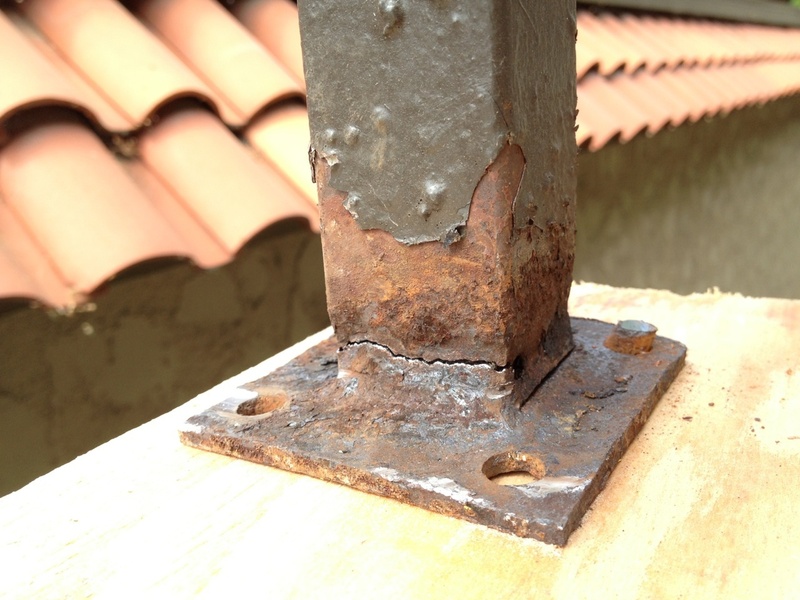 The final step in your San Juan Capistrano Ca balcony deck repair service is our waterproofing membrane. This is a five layer waterproof coating designed for use over plywood sub-floors. 1) metal lathe is stapled on top of the plywood to help the coatings adhere as well as provide flexibility and strength to the final product. 2) polymer modified concrete is swathed across the entire decking, sealing the deck surface. 3) Fiberglass matting and bonder are applied to fully waterproof the area. 4) another skim coat layer of concrete sandwiches the waterproofing properties. 5) a your choice of texture is sprayed across the deck to achieve aesthetic and safety grip. 6) two coats of waterproof paint sealer in your choice of color are rolled on. Beautiful balcony deck repair complete! Check out our balcony deck repair care in action!